I’ve been in a ’90s state of mind this week. 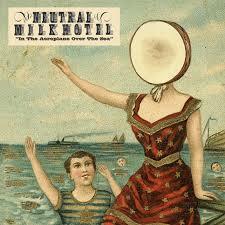 For starters, I saw the band Neutral Milk Hotel on Sunday. Their album In the Aeorplane Over the Sea was formative for me. I have vivid memories of listening to the title track in a friend’s apartment. It was senior year and several of us who lived in the 1920s building were taking advantage of her roof access (“access” was achieved by climbing out a window, of course). Listening to that song now, I can feel what it was like to be 21: a recent breakup behind me and an unrequited crush in front of me, mere months away from graduating college with absolutely no idea what I was going to do, but my entire life ahead to figure it out. I have to imagine the show Sunday night was filled with people like me – people in their mid- to late- 30s who had a similar experience with the band but hadn’t been able to see them live before they stopped playing. I’m not fit for these kind of shows anymore. The crabby mom in me grumbles about standing behind a tall guy. And all that standing makes my feet and back hurt. As the crowd batted a balloon over our heads Sunday night, I gritted my teeth and motioned to Pat what I would do to that balloon if floated my way (crush it with a solid stomp of the foot, naturally). The opening song was greeted with reverent silence. But soon the crowd was singing along with “King of Carrot Flowers Part 1.” I caught myself tensing up, mentally muttering “Oh, please shut up.” But I relaxed pretty quickly. Because I realized that, right then, every person in the room was probably thinking about where they were the first time they heard that song, and remembering what it was like to be 21. I sure was. 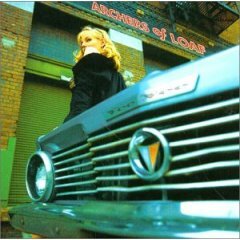 In the Aeroplane Over the Sea is just one of many albums I still listen to from the ’90s. While I considered myself a pretty avid consumer of music until 2008 (its end coinciding with Noah’s birth on the first day of 2009), the ’90s were my formative years: that decade spanned middle school to the end of college, across cities and continents, encapsulating all my “firsts” as a young adult. My musical tastes ran the gamut during the decade. At its dawn, I was crazy for New Kids on the Block and Jodeci and Color Me Badd. While I still get a kick out of that music (in thinking about this blog post, I sang all the lyrics of “All 4 Love”), the albums from my later high school and college years are what have stuck with me. And now, 15 to 20 years later, some are still in my regular rotation. I bought this on cassette tape in the fall of my junior year of high school. It played nonstop in my 1985 Honda. The cover art was so deceptively simple, someone asked me if was a local band. But the music was great then, and it still is. Bonus: Their song “South Carolina” is on the soundtrack of My So Called Life, one of the best shows of the ’90s, which I also still have. While chronologically this is the earliest album on the list, it was probably one I got into last. 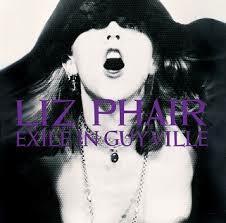 On one hand, I wouldn’t have been ready for “Exile in Guyville” when I was 15. It’s a pretty adult album. On the other hand, I wonder what might have happened if had. 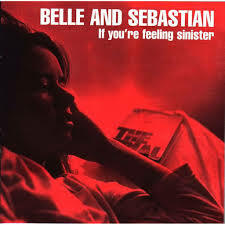 I haven’t bought a Belle and Sebastian album since 2000’s Fold Your Hands Child, You Walk Like a Peasant. 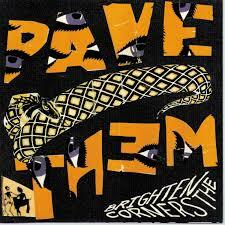 But that doesn’t stop me from listening to this one, as well as The Boy With the Arab Strap (1998) pretty regularly. In fact, just this morning it served as excellent “making crepes” music. I think my connection with early B&S runs so deep because it began at a time when you had to work hard to get your hands on the music you wanted. B&S are from Scotland, and my junior year semester studying abroad in England (more on that next week) included a mission to track down rare EPs. I remember riding the train from London back to our suburban university listening to a newly-acquired CD on my Discman, and can’t help but get a little nostalgic about the “good old days” of cumbersome technology. Slightly less romantic, but equally memorable, was when my sister scored tickets for us to see them in Chicago, and then proceeded to get in a fist fight with a guy standing behind us. Yes, at a Belle and Sebastian show. My sister is pretty awesome. 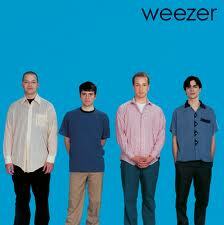 What albums from the ’90s do you still listen to regularly? Do you ever miss your Discman? And would you like to recommend an album to bring me into this decade? All grunge. All the time.